In the dugout, waiting to run. The whole game memorizing the pale swirls in the concrete floor of the Dodgers’s visiting dugout. Down three, the swirls have Wash making strange associations: creamed coffee, his wife’s shoulder, a painting of birds he remembers from grade school. Wash watches the sun set from the bench, the burn of the stadium lights coming to life. The slowness of the sport has never appealed to him. He can only stand the calm for so long. End of the eighth, Coach Irv jogs in from the third base box. Light jumps around his green Athletics jacket. Irv's hand moves from his pouch of Red Man to his bottom lip. “Ready to book,” Wash says. “Can't steal second with a foot on first,” Wash says. The drive from the hotel to the stadium that morning: the asphalt, the heat, the traffic. His wife getting up from the bed to wash her face. The way she kissed his chin before he left. Keeping his head in the season has been tough. The travel days wear him down. He loses track of his teammates names, innings, the score. When he does get to run, it's never for long enough. The coaches tease him: let him take BP, shag fly balls with the outfielders. But his swing is too slow, his arm too weak, his glove lazy. He's a runner, not a baseball player. He was hired for his legs. Top of the ninth, the Dodgers fall apart. Sutton beans Brando, Reggie knocks a liner to the corner, and Rudi drives them both home. The stadium bends into a roar. It's a sound Wash could lose track of the world inside, wrap around himself like a blanket, sleep. It's the same feeling that hit him at track meets, way back. Alvin, the skip, calls from across the dugout, waking Wash from his daydream. “You're a go,” Alvin says. Wash feels electric, full of meaning, his white cleats clicking up the concrete stairs, leaving his head and those dirty swirls back in the dugout. He watches Marshall take his warm-ups on the mound. He tries spying a tell in his delivery. He shakes out his legs like he's done since his freshman year of high school track. He high steps, and the polyester of his uniform sticks to his skin. He has never belonged on this team. Every time he was picked off during the regular season, he jogged back to the dugout staring at the bat rack, instead of meeting his teammates eyes. If he can't run, then what? Then he is Finley's failed experiment. He misses running track. If he lost a race or got poor start off the blocks it was all on him. He could punish his body with circuit sprints until he puked. He could work through the mistakes on his own. Being in baseball meant his mistakes were owned by thousands and thousands of people. His name reverberates through the PA system. The bag is World Series soft under his heel, pillowy even. Off it, he stabs his toes into the springy dirt in front of first. He dangles his arm between his stance. He twitches his fingers like he's playing an imaginary trumpet, an attempt at distraction. Garvey, the first basemen leans in, angles his body so his big glove points at Marshall, who shakes down signs from home. Wash side steps, getting that much closer to being gone. 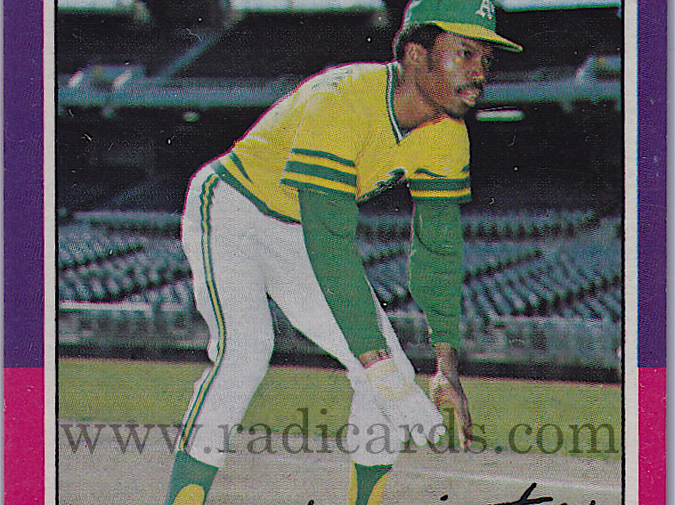 Irv signs at Wash from the box: touches his head, swipes the yellow and green logo on his chest, touches his left wrist. All of this means something. The bodies in the crowd behind Irv swirl into Wash's vision. This means something, too. On the mound, Marshall sets his body still. He rests his tanned glove against his chest. He waits. Wash takes another side step, a little one. The dirt, the stadium lights, the dark navy sky beyond the lights, the city beyond the stadium. Wash is connected to none of it out there, off the bag. Off far enough that he can't dive back. Out where nobody can help him: not Irv giving him signs, not Alvin in the dugout, not Fosse at the plate, not his wife in the crowd, watching with the other player's wives. It feels familiar, that loneliness. He dives back, anyway. Because what else can he do? Garvey's glove, fat with the ball now, stings his hand hard. Garvey's breathing is heavy and rhythmic and hot on Wash's cheek. It's intimate, how close they are. The ump, another body, breaks the moment, fist clutched in the air. Out. Wash brushes off his uniform. The crowd cheers and boos as he jogs back to the dugout. It's a crushing, damaged sound. The scoreboard leaks into his vision, the deficit blurs. There is more life beyond this moment, he knows. It's painful, though, this moment. The faces of his teammates and coaches in the dugout swirl. They look washed out, all the same now, nameless. He takes his seat on the bench. Alone, again. An errant trashcan lid, pancakes, the clouds in Mississippi. He waits for the final out so he can shower up and take the freeway back to the hotel. Terrance Wedin is a bartender living in Columbus, Ohio. His writing has appeared in Esquire, Smartish Pace, and Barrelhouse.